Find the right tour for you through Dovan. We've got 33 tours going to Dovan, starting from just 7 days in length, and the longest tour is 17 days. The most popular month to go is May, which has the most number of tour departures. "Great guide Raj DC. Very enjoyable." 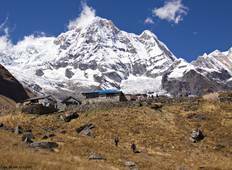 "Great guide on the trek Dipak. Porters were fantastic. Business is well run and customer..."
"The Tour was overall was good. Had a new experience. 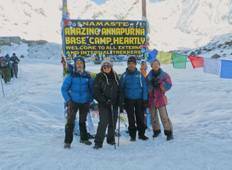 Would love to explore again..."
"I got in touch with sherpa expedition and trekking to arrange a great and unique..."
"I had an amazing time doing the Annapurna Base Camp Trek with Escape Himalaya Trek..."
"I have used a variety of tour operators for my treks to Kili, the ECB, ABC, TMB and..."